Master Movers Removals Ltd - Removals/Storage based in Southampton, Hampshire. Master Movers Removals Ltd offer a wide range of removal and storage services for both your home and business, providing full removals or straight forward man and van for single items of furniture or smaller load services to clients throughout the Hampshire regions. 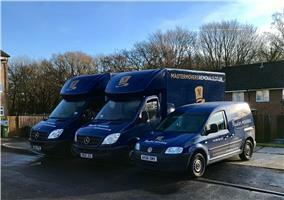 This excellent service also provides long distance removals to or from all of the UK. Our team of movers are fully trained and are fast and efficient, enabling you to have a hassle and stress free moving day.